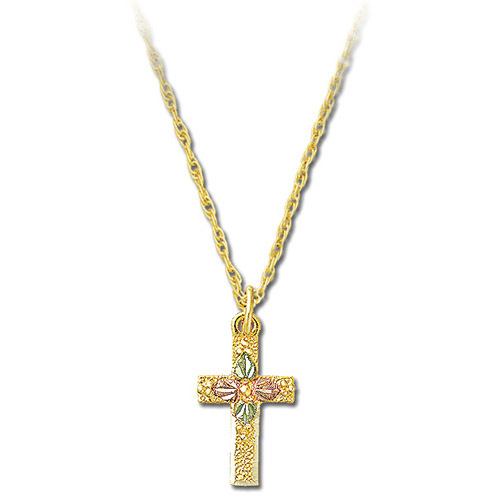 Desc: Landstrom's Black Hills Gold cross necklace with leaf design. The cross pendant has a textured finish with the grape and leaf pattern in the center. Made in the United States of America.